A great business book will be full of magic words that reflect new and crucial concepts. What’s the best way to explain those? Here’s how to make a glossary that works without drowning in jargon. 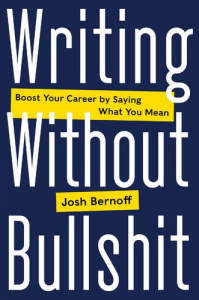 If you’re writing a business book, you’ll inevitably face a difficult problem with language. Some of the unfamiliar words you’ll introduce will be crucial to understanding the book. You can’t write about technology ecosystems without mentioning APIs (Application Program Interfaces), and you’ll have trouble elucidating artificial intelligence without explaining machine learning. Even so, jargon is one of the three toxic prose elements that destroy readability. How can you maximize the insight your book is delivering? Marie Kondo says to get rid possessions that don’t “spark joy.” My advice is similar. Look at the words in what you are writing that would be unfamiliar to most readers in your audience. Divide them into two groups. if you explained them, would make you or the reader feel silly. If you explained them, would reveal something important about the concepts in the book. Have a precise meaning that’s cumbersome to express any other way. You use repeatedly throughout the text. Replace the words in the first group with clearer language; they are useless jargon. Revere the words in the second group: they are the magic words are central to the meaning you are sharing with readers. If you’ve done the above exercise honestly, you’ll only be left with ten or twenty words in the second group, and they’re words you’ll be embracing with gusto. To celebrate this list, create a glossary. 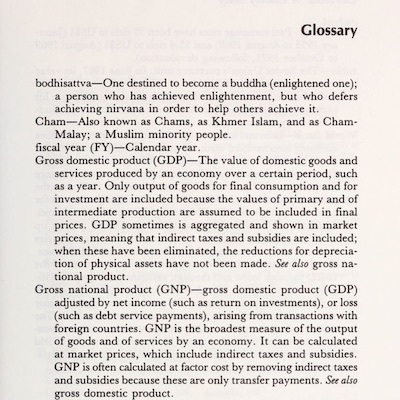 In most books, the glossary is shamefully tucked away at the end. Any reader who’s confused by language in the book might think to look there, but if they do, they’ll end up flipping back and forth between the glossary and the text, which just gets in the way of readability. Since you’ve reduced the word list to powerful words that are essential to the text, be proud of your list. Put your glossary at the end of Chapter One. A glossary in that prominent spot has to be readable and insightful, just like everything else in the body of the book. Ten or twenty short, sparkling definitions will actually whet the reader’s appetite to learn more. Application program interface (API)—A set of protocols that allow computer systems to communicate and share data with each other. For example, an API could allow a virtual agent system to query a banking system about a specific customer’s bank balance. Artificial intelligence (AI)—Any type of computing in which a computer simulates processes typically done by humans. AI includes machine learning and natural language processing. Chatbot—Any automated system that a human can converse with by voice or by text chat. Virtual agents are one class of chatbot. Corpus—A body of data, such as the complete transcripts of all the text chats that human support reps have had with customers, along with other data attributes about those conversations. Intelligent assistant—A system designed to answer general questions posed to it by voice. Notable examples are Amazon’s Alexa, Apple’s Siri, Google Assistant, and Microsoft Cortana. While intelligent assistants answer general questions, virtual agents answer questions specific to a company, such as customer service questions. Virtual agent—An artificially intelligent system that a human can converse with by voice or by text chat. Virtual agents use all possible context to determine how to interpret and respond to questions from customers or employees. Every one of these words is essential to understanding the text. The descriptions are short and (I hope) clear. They sometimes use other glossary words to indicate the relationships between terms. And reading the whole collection is like a tutorial that clarifies a difficult set of concepts. That’s a hard-working glossary that deserves pride of place at the end of Chapter One. Once you’ve stripped out the jargon, the magic words that remain will make your book stronger and clearer. You might even say that they spark joy. Yes! I’ve also a personal beef with putting jargon words in “quotation marks” or writing things like, “a technique known as quotation marks.” It subtly insults an audience, suggesting they couldn’t suss out what the phrase is or how it should be used. Use the words if you must, explain as needed, and move on! I used to use quotations liberally. I despise them now and almost always remove them in my own writing.